Watching primates at zoos is so fascinating because they seem to relate to one another as individuals; we see in their actions and vocalizations signs of friendship, rivalry, and even love. But how much of what we see is just our anthropomorphizing? How do primates really understand their relationships and their place in the world? 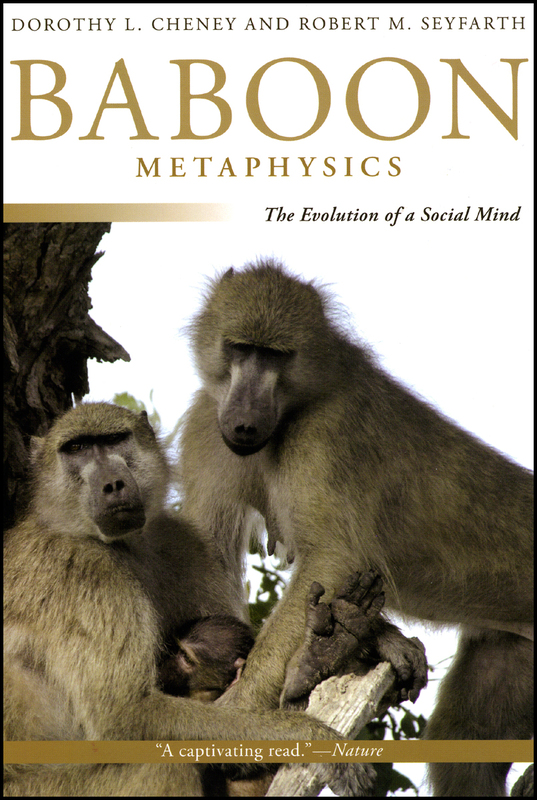 The fruit of fifteen years living with baboons in their native habitat, Baboon Metaphysics: The Evolution of a Social Mind answers these questions and more, showing us how baboons understand themselves and their world. The drama of rank and kinship, the authors reveal, would be right at home in Jane Austen, as the baboons make and break alliances with friends, relatives, and rivals. Through unprecedented field experiments, Cheney and Seyfarth enable us to understand the intelligence underlying these bonds and the forms of communications baboons employ to manage their relationships—and the dangers and stress of living in the wild. Baboon Metaphysics gives us an unprecedented and compelling glimpse into the mind of this most fascinating species. Read the press release. 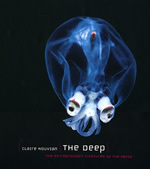 Read an excerpt from the book. . . .
Claire Nouvian’s The Deep: The Extraordinary Creatures of the Abyss has been making waves in the media lately with reviews in Discover Magazine, the BBC’s Focus Magazine, and the Literary Review among others. But this morning’s piece in the New York Times probably weighs in as the book’s best review yet. The science section of the May 22 edition features an enthusiastic review of Nouvian’s fascinating illustrated journey into the abyss, complete with an interactive slide show featuring a sampling of the often beautiful—and sometimes scary—images that grace the pages of her new book. Reviewer William J. Broad writes for the NYT: In preface, Ms. Nouvian writes of an epiphany that began her undersea journey. “It was as though a veil had been lifted,” she says, “revealing unexpected points of view, vaster and more promising.” The photographs she has selected celebrate that sense of the unexpected. Bizarre species from as far down as four and half miles are shown in remarkable detail, their tentacles lashing, eyes bulging, lights flashing. The eerie translucence of many of the gelatinous creatures seems to defy common sense. They seem to be living water. On page after page, it is as if aliens . 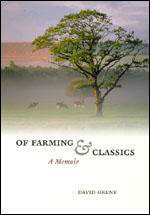 . .
Last week, the Times Literary Supplement ran a review of David Grene’s posthumous memoir, Of Farming and Classics. Weaving together Grene’s life as a professor of classics at the University of Chicago with his alter ego as a farmer in Ireland and in Illinois, Of Farming and Classics delivers a refreshing and intelligent take on classical scholarship in the twentieth century. TLS reviewer Edith Hall seems to agree when she writes: David Grene’s experience of Irish, British, Austrian and American Classics across the whole period from the 1920s until 2002 makes this slim, deftly written, posthumously published volume an illuminating read for every classical scholar engaged with the current quest for the subject’s roots, and the excavation of the way that it has evolved over the past century and a half. But Grene’s memoir is made really memorable by his “other”, bucolic voice; for his account of twentieth-century Classics runs in tandem with his memories of his other profession, as a dairy farmer in Illinois and subsequently in Wicklow and Cavan in Ireland.… Belonging to two social worlds gives him an unusually keen eye for the precise nuances of social class and the ways in which they are defined and . . .
Last Friday’s New York Times had a review of an exhibition at the SculptureCenter. The exhibition drew inspiration from a book that the Press recently honored, What Do Pictures Want? : The Lives and Loves of Images by W. J. T. Mitchell. Martha Schwendener writes for the NYT: What do objects want? 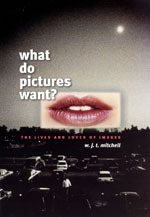 The question, immediately recalling Freud’s about women, also paraphrases the title of W. J. T. Mitchell’s book What Do Pictures Want? The Lives and Loves of Images, the inspiration for an exhibition at the SculptureCenter in Long Island City, Queens. Mr. Mitchell, a professor at the University of Chicago and editor of the journal Critical Inquiry, observes that “modern, rational, secular” people don’t generally treat pictures like persons, yet “we always seem to be willing to make exceptions for special cases.” (Most of us, for instance, would be reluctant to poke out the eyes on a photograph of our mother.) But pictures have desires, too, he argues, and a primary one is the desire to capture our attention—to “transfix the beholder” and gain some measure of mastery or power over us. The Happiness of Objects, organized by Sarina Basta, the SculptureCenter curator, takes Mr. Mitchell’s ideas and tweaks them . . . Marshal Zeringue, whose blogging enterprises are clustered at the Campaign for the American Reader, has a daily feature called “The Page 69 Test” in which he asks an author to quote and briefly discuss whatever text can be found on page 69 of their book. On the basis of the title alone, one could scarcely find an apparently less fit candidate for the rigors of the Page 69 Test than Angus McLaren’s Impotence: A Cultural History. But we are pleased to note that Impotence was—yes, we will stoop to this joke—up to the task. The Page 69 Test exhibits, as a test on most any page of this book would, some fascinating material. In fact, page 69 discusses a legal case in Pennsylvania in 1728 in which a woman claimed her husband was impotent. The husband, a George Miller, submits to a virility test and, in due course, proves his manhood. Synchronicity rules. 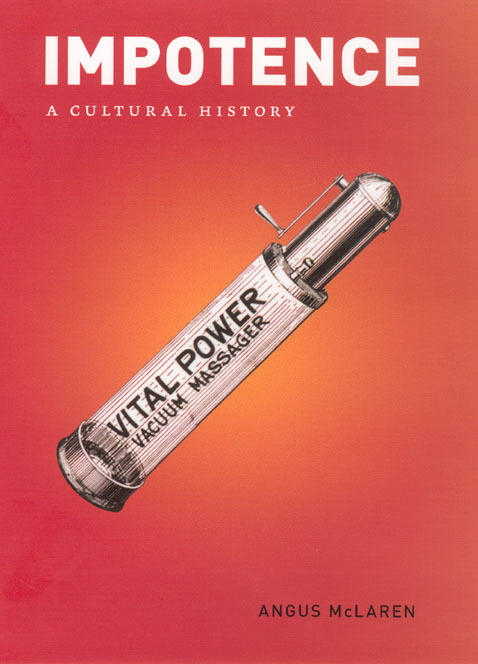 You may further sample Impotence in a special feature drawn from the book, “Two Millennia of Impotence Cures.” . 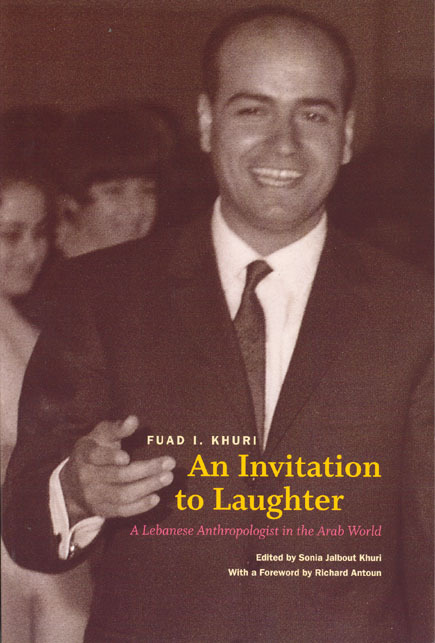 . .
Robert Fulford wrote an article in Canada’s National Post on Fuad I. Kuri and his posthumously published memoir An Invitation to Laughter: A Lebanese Anthropologist in the Arab World. A Christian Lebanese, Khuri offers in his unusual autobiography both an insider’s and an outsider’s perspective on life in Lebanon, often fraught with contradictions, and of course, laughter. Khuri entertains and informs with clever insights into such issues as the mentality of Arabs toward women, eating habits of the Arab world, the impact of Islam on West Africa, and the extravagant lifestyles of wealthy Arabs as Fulford writes in the Post: Laughter is not the first sound that comes to mind when someone mentions Arabia. As Khuri wrote, “In Arab culture, laughing loudly in public demeans one’s character.” … Khuri was not an ordinary Arab, or an ordinary anthropologist. Laughter was frequently his response to the societies he studied. He investigated African villagers and other traditional subjects, but he loved studying prosperous societies.… Khuri, it’s clear, loved to follow the rather over-assertive habits of rich Arabs who wanted to display their wealth. He mentions an Arab who asked that Harrods department store in London be closed so that his wife . . . Author Mary Pattillo was featured Tuesday on Chicago Public Radio’s daily news-radio talk show Eight Forty-Eight. 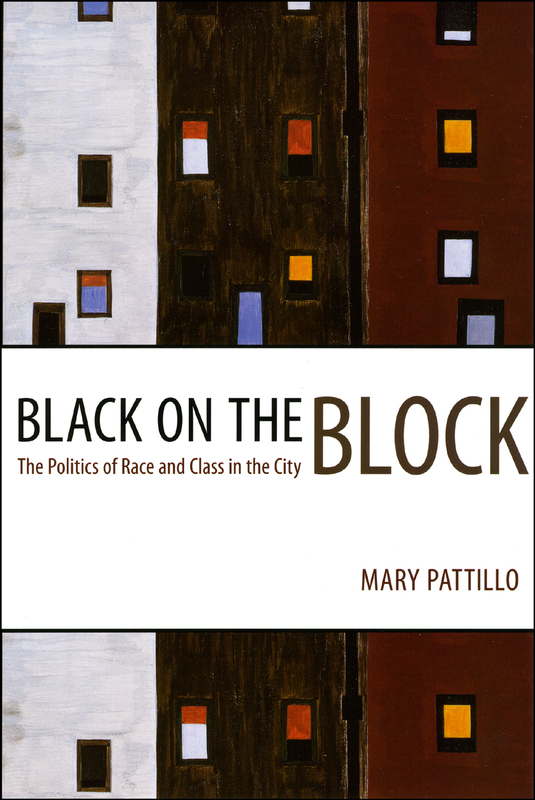 Pattillo speaks with host Richard Steele about her new book Black on the Block: The Politics of Race and Class in the City and the revitalization of Chicago’s North Kenwood-Oakland neighborhood. Their conversation explores the problems facing this rapidly gentrifying black community to touch on broader issues of race and class in contemporary urban America. You can find archived audio of the show on the Chicago Public Radio website. Pattillo will also be at 57th Street Books today at 7pm to read from her book. 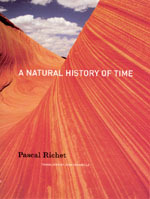 In the meantime, you can check out an excerpt on our website. . . .
Pascal Richet’s new book, A Natural History of Time tells the fascinating tale of humanity’s quest to pinpoint the age of the Earth. Beginning with ancient mythology and ending with a detailed discussion of modern scientific attempts to date the Earth, Richet’s book chronicles the many ways in which human societies have conceptualized the idea of time throughout the ages. A recent review in Publishers Weekly explains more: For millennia humans relied on mythical or biblical accounts to conjure up a birth date for our planet. Astronomer Edmund Haley used the amount of salt in the oceans as his calendar. The great Newton ventured at writing a chronology that took most of the stories of Greek kings and heroes at face value. But as French geophysicist Pascal Richet tells readers, people didn’t get serious about ascertaining the age of the earth until the Enlightenment, when researchers tried to figure the amount of heat lost by the earth to reckon backwards to its molten youth. But a firm date—4.5 billion years—couldn’t be established until the discovery of radioactive elements to date everything from textiles to stones.… geology and natural history buffs will discover a rich, . 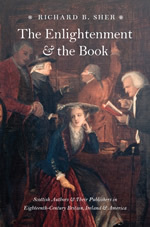 . .
We’re catching it a little late, but last month the London Review of Books ran such an interesting review of Richard Sher’s The Enlightenment and the Book: Scottish Authors and Their Publishers in Eighteenth-Century Britain, Ireland, and America that we thought it worth a mention. Sher brings to light the forgotten role of the publishing industry on the explosion of intellectual activity in Scotland during the eighteenth century, as reviewer James Buchan—a Scotch writer himself—explains: For Sher, whether a piece of paper was folded into four to make a big square volume (quarto) or eight like a modern hardback (octavo) or 12 like a livre de poche (duodecimo), who printed a book and who sold it and for how much, how many editions a book went through and how much money the author or publisher made, whether there were engravings, frontispieces or printed advertisements—all those have important things to tell us about works such as Hume’s Essays and Treatises, his country and his age as befits such an argument Sher’s book is beautifully illustrated. “Even among bibliographers and book historians who specialize in the 18th-century book trade,” Sher writes, “relatively little work has been done to connect publishers and . . . 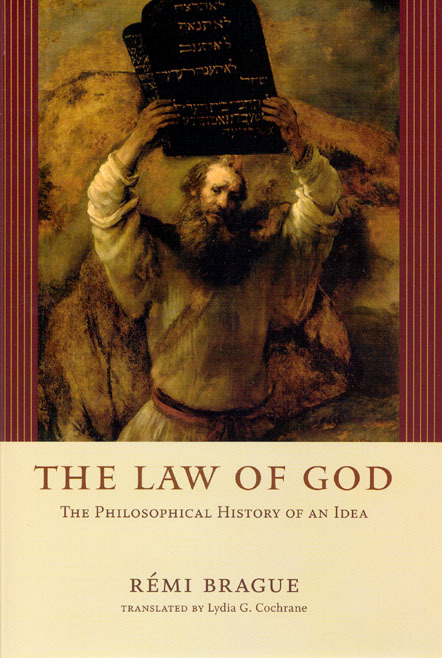 In The Law of God: The Philosophical History of an Idea Brague takes his readers back three thousand years to trace the idea of divine law in the West from prehistoric religions to modern times. Brague explains how divine law, which served in ancient Greece as a metaphor for natural law, was seen in ancient Israel as divine revelation. Then, in the Middle Ages, it took on different sacred meanings within Judaism, Islam, and Christianity. Illuminating these meanings with a wide array of philosophical, political, and religious sources, he goes on to address the recent break in the alliance between law and divinity—when modern societies, far from connecting the two, started to think of law simply as the rule human community gives itself. Powerfully expanding on the project he began with his critically acclaimed The Wisdom of the World, Brague explores what this disconnect means for the contemporary world, ultimately inviting us to re-imagine the implications of our own modernity. Read the press release. . . .